For as long as I can remember, the Community Nature center has been located at 1980 Williamson Valley Road. It is home to 1.5 miles of trails that loop around the small park located next to Granite Mountain School. The hiking is easy and visitors can create endless loops. The park has a small pond that is home to a magnificent amount of birds; so many in fact, they managed to drown out the sound of the road nearby. There are 41 identified plants along the trails, and 14 different, seasonally-rotating trail guides hikers can borrow from the informational bulletin board at the park’s entrance. 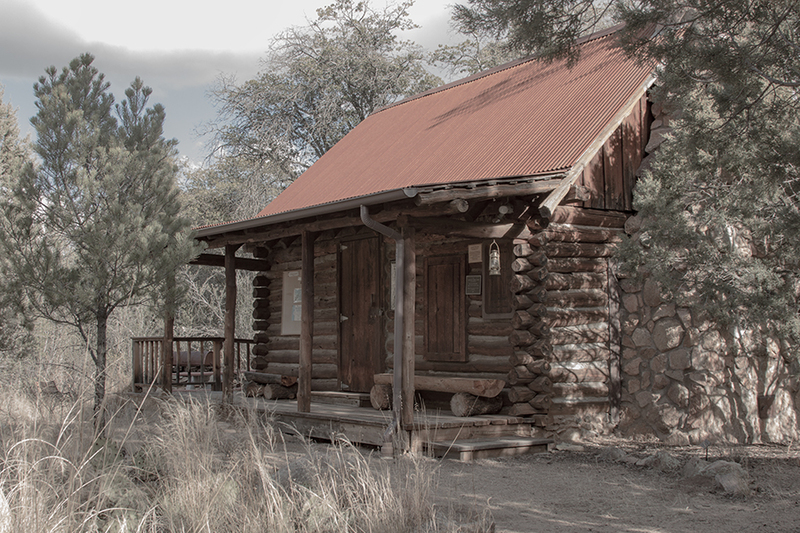 The community center is home to a small cabin volunteers built in the seventies and it is dedicated to a Prescott Unified School District superintendent who helped establish the park. Sometimes I get so busy I forget how important it is to take just a few minutes out of my day for me. This little spot was just what I needed after a busy Christmas morning filled with family. I took my dogs and we looped in and out of the trees, around the boulders exposing amazing views, listening to the beautiful birds, and just remembering to breathe. There are maps located all around the park that help you find your way. We even managed to find the small amphitheater where I remember listening to nature talks 30 years ago. I can imagine the parking area gets a little busy during certain times of the school day, but on the day of my recent hike I had it pretty much to myself. The park is open from sunup to sundown and worth a little of your time.